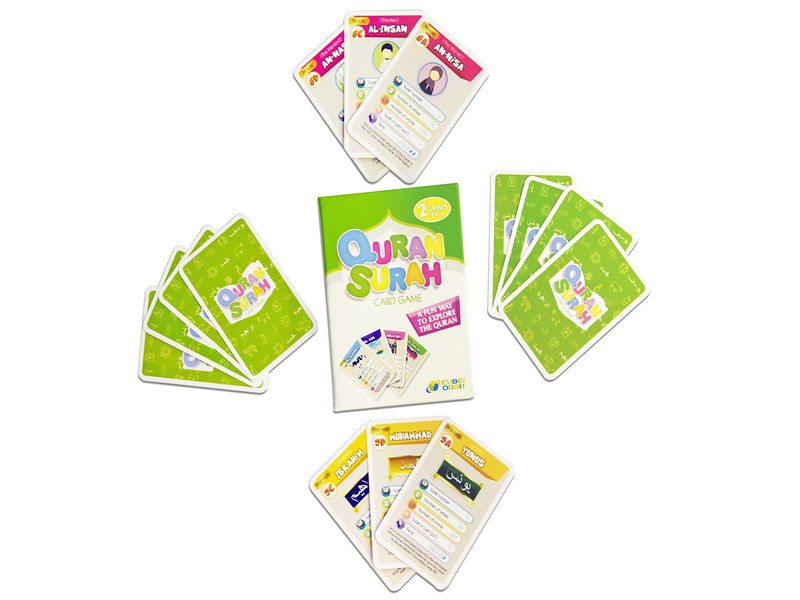 The Quran Surah Card Game is brand-new 2-in-1 Islamic game designed to enthuse, inspire and educate young children about 32 select Surah of the Qur'an from al-Baqara to An-Nas. 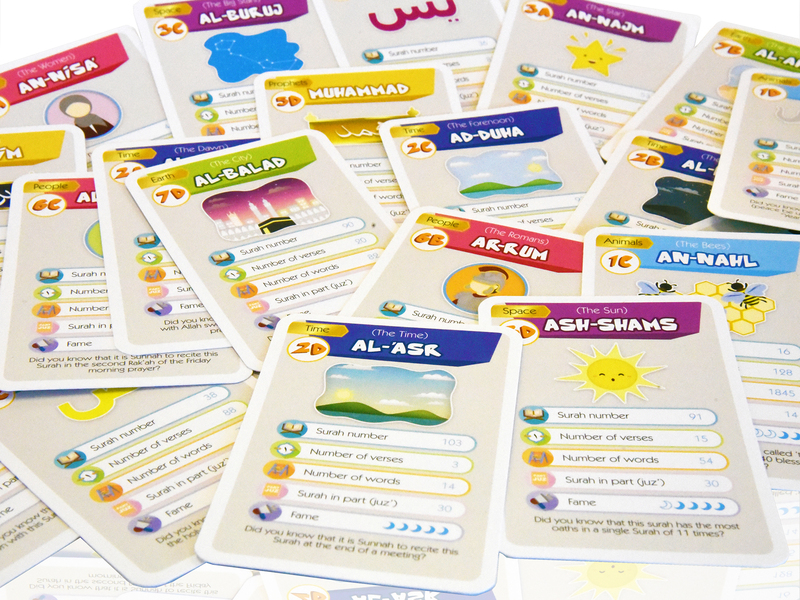 Bright, colourful, and designed to promote confidence through learning, the Quran Surah Card Game is packed with interesting information about each selected Surah and includes 8 Surah Families for players to collect. Suitable for children aged 6 years plus, this Islamic educational game is an essential learning tool for the classroom and the home, and as it is designed for 2 – 6 players, the whole family can join in this fun Holy Quran learning experience. 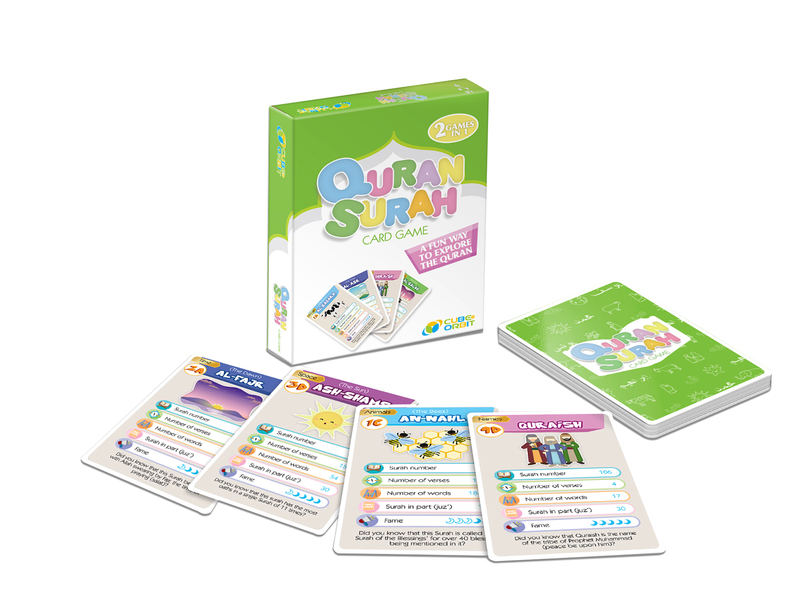 Based on the popular family card games Quartet and Trumps, the Quran Surah Card Game helps children understand the 32 selected Quran Surahs in a relaxed learning environment. 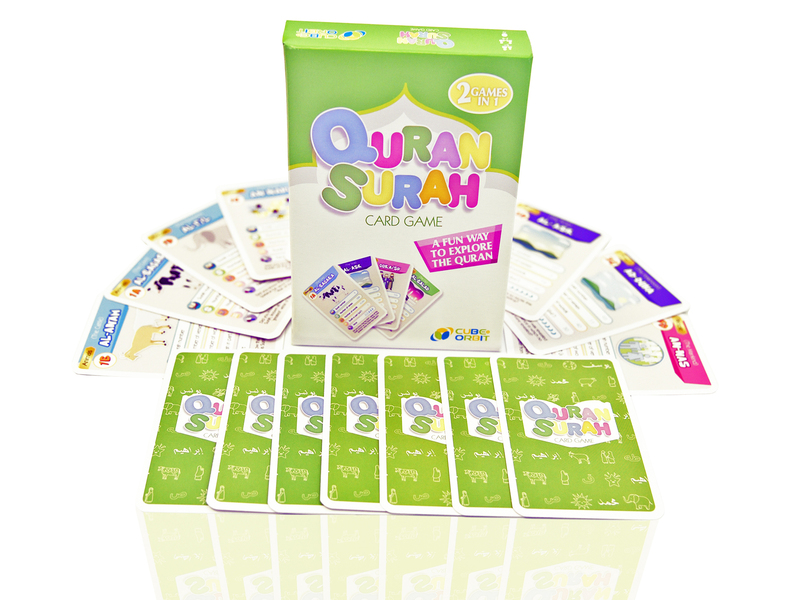 In addition to teaching the fundamentals of each Surah, this innovative board game develops minds, encourages character-building values, and instils a love for the Quran in future generations, making it the perfect educational toy for young Muslim children. Sign up to get updates about new game releases and special offers.